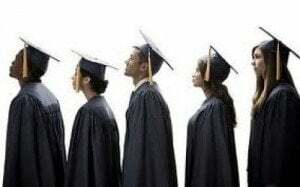 The management of Bowen University, Iwo, Osun State, has said that 30 students graduated with first class degrees out of the 1,017 it graduated in the 2013 set. The Vice-Chancellor of the university, Prof. Mathews Ojo, said this at a press conference in Iwo on Monday as part of the activities marking the eighth convocation ceremony of the institution slated for Friday and Saturday. The VC, who defended the standard of education in the institution, said the graduates met all requirements and were found worthy in both character and learning. Giving the breakdown of the 1,017 graduates, the vice-chancellor stated that 292 graduated in the second class upper division and 431 made second class lower division. Also, 225 candidates obtained third class degrees, while 32 others ended with ordinary pass. The varsity is also graduating six candidates in its postgraduate programme, including a Ph.D holder. According to Ojo, the National Universities Commission has accredited all its programmes. He, however, solicited financial assistance from all the friends of the 11-year-old institution, saying a university was expensive to run. “Despite the feat achieved by the university, it needs immediate financial assistance from all stakeholders and friends. “Increased commitment, aid and interest from the Baptist family are of paramount importance, to bring about the realisation of Bowen University dreams. “No doubt, the university is in dire need of financial assistance for survival in Nigeria’s competitive educational system. Therefore, the need for all stakeholders and friends of Baptist all over the world to support our initiative for first rate Christian and a world class Baptist university in Africa is paramount,” he added.